How to brand yourself to your next job. This is a guest post by Ryan Biddulph. Blogs are one-stop shopping for many interested employers. Running a quick web search can reveal how much you know about your professional niche. From articles, to reviews, to videos and podcasts, you can upload serious amounts of content quickly if you’re on the blogging ball. Standing out in a hyper-competitive job market forces you to brand yourself like a boss. With a little bit of ingenuity, a touch of transparency and a few dollars you can easily make a massive impact through your blog. Think Wikipedia-style pages if you want to really make an impact. Employers want to know who you are. Don’t hold back. Don’t share every detail of your personal life but do share your experiences. Be transparent. Share your successes and failures to prove you know how to handle success and adversity. Employers enjoy seeing your accomplishments but they also like to see how you handle obstacles. Brand you through your blog. This means posting more than a few pictures of yourself on your “About” page and along your sidebar. Allow your personality to shine through by going heavy on eye candy. Branding yourself is not terribly difficult if you add some showmanship to your blog. Job seekers need to work every angle possible to stand out from a competitive crowd. Would you walk into an interview with a paper bag over your head? Pepper your blog with at least a few pictures of yourself. Oh yeah, make sure they’re smiling images too. Lighten up to make an even greater positive impact. If you run a gaming blog yet work in the financial services niche think twice about sharing your link with employers. Set up a separate professional blog to brand yourself to your prospective employers. Build a relevant blog to present to employers. Don’t bother sharing a non-relevant blog. 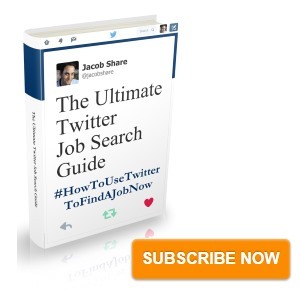 Craft blog posts and pages directly-related to your field of employment. Stay on topic to brand yourself intelligently. Unless you’re trying to land an unpaid internship you’ll be receiving a salary once you land a job. This means that depending on your niche you’ll be seeing healthy paychecks every one to two weeks. For the cost of a fraction of your paycheck you can buy a professional-looking, premium theme which makes your blog pop. Think big picture. Make an impact by wowing any potential employers. Even if you haven’t landed a job yet you can pull out your credit or debit card and make the buy. Buy a premium blog theme to become a branded blogging dynamo. Running a self-hosted WordPress blog helps you brand yourself to the max. From the widgets you can upload to the wide array of themes and the endless support you can access through experienced WordPress users you’ll be doing yourself a great service. Even if you’re bootstrapping you need to give off an air of professionalism. Buy your own domain name. Invest $10 to $15 dollars each month to own your virtual estate. Don’t make the mistake of building your blog on a free platform. Free platforms usually give off an amateurish feel and to make matters worse, your provider may pull the rug out from you. “Free” means the blog network owner can delete any blog for any reason at any time without offering an explanation. Don’t squat on a free blogging network. You can be evicted at any time. Own your blogging real estate to own your brand. How do you brand yourself like a boss through blogging? Ryan Biddulph is an internet lifestyle junkie, blogger and freelance writer. He also owns Blogging from Paradise. Ryan currently lives in Savusavu, Fiji with his fiancée Kelli. 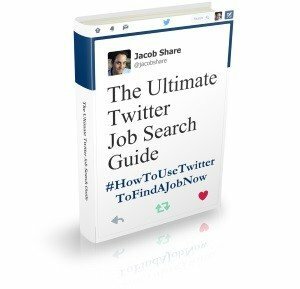 Subscribe to JobMob via RSS or email and follow Jacob Share on Twitter for ideas about how to use blogs for your job search. Ryan- my pleasure, great to have you on board. Good luck with this post! Previous PostDo You Have This Moneymaking Personality Trait? Next PostWhat is Moz and Do You Need it?